On an island, I read a poem out loud and discover exactly what I want it to feel like if I fall in love. I hike narrow & steep trails in falling light with OWL on my back because I promised him a waterfall. We make it back before dark. I remember unexpectedly touching the lips of a friend days before he moved thousands of miles away, the experience of true a moment where the past dissolved and the future didn’t exist. A feeling that, I now suspect, may exist out there, even for me, in that shaky unknowable someday. I tell myself it is okay to touch the tiny beautiful things that are offered to me. I try to remember that betrayal and the willingness to stay open in light of a past that’s been undermined and a future I don’t always trust is the gateway to the present moment. That I am on the threshold. 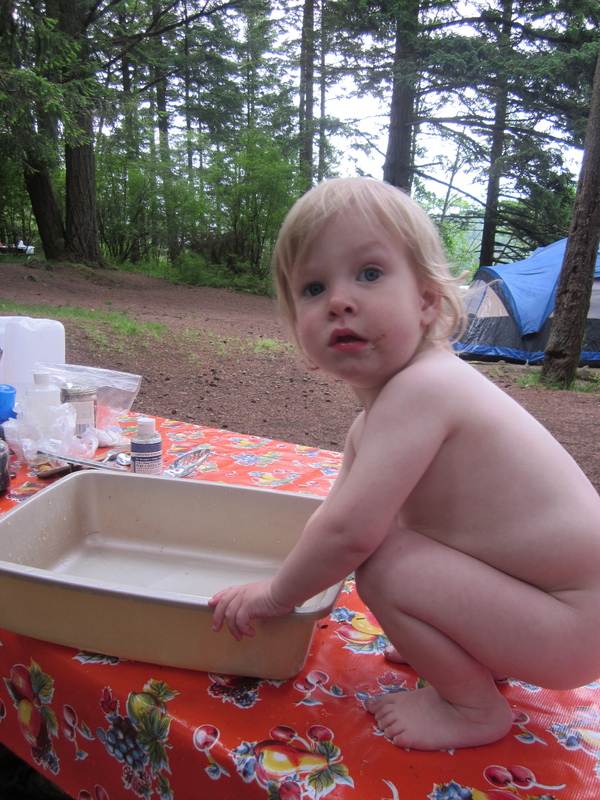 I bathe my baby in a dish pan set atop a picnic table in the woods next to a lake. I sit in circles and lines and listen to the breath of friends & strangers — sometimes rapid, sometimes breathless, sometimes wet with tears — and join the chorus where emptiness and form make nobility. I promise to slow down the constant testing. I ride my bike for miles. I bask in the richness of our friendships. Meals made by human hands. Wine in the park. An unexpected (always invited) house guest. Evenings with babies and late night with mamas. Wheels over trails. Cushions in a row. Late night / early morning messaging. I learn the words to Little Blue Truck. I practice transforming the many mishaps. I write in fits & starts. In fragments with a sense of things that will never see the light of day. A lot of notes, nothing coherent. Journals and notepads and folded sheets of loose leaf paper. I submit 4 essays and hang out with an empty inbox. I buy a new dress & plan for a picnic. The nature of grief, or at least mine, presents itself as cyclical. Seasonal. Marked by the harvest moons of pregnancy and breaking up, followed by would-be anniversaries that bookend OWL’s birthday, which is also the day of my haunted delivery into mamahood, a day of immense joy & gratitude joined by the rattle & hiss of an unshakeable failed start. And from this place, the world moves forward. I am motionless. Is there a slogan for that? Yup, Sarah replies. Transform all mishaps into the path of bodhi*. Love of all kinds is kind of a giant glorious mishap, eh? And she lists the last 9 years of my life, my loves and disappointments, vows and friends lost to miles, and sends me a picture of grey skies and apple blossoms. I cry for the 7th time in 2 hours. This morning nausea spread from behind my eyes and into my throat, hunger pangs, chills and fever. After an extra hour of sleep and pills, I put on a dress with a fancy sweater and scarf, leggings and boots to meet the dreary June rain, earrings and makeup, bravely applied mascara that is now long gone. My words are hollow, circular. I cannot believe there is still so much letting go. Always there is letting go.